This has to be the best seared salmon recipe I have tried in a long time. Coupled with this avocado remoulade it was amazingly fresh and simple. The avocado remoulade whips up in a flash. The addition of the fresh lemon juice in the remoulade is fresh and zesty. Wild caught Atlantic salmon is one of my favorite menu choices. Rich in omega-3 fatty acids, this is a very healthy fish. 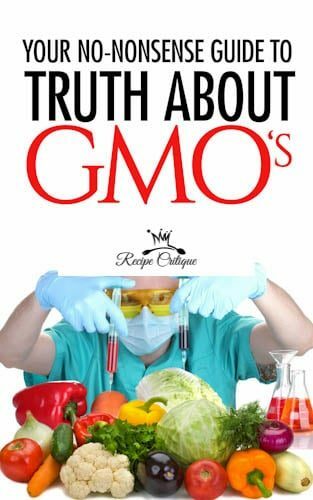 I have long ago stopped eating any kind of farmed fish, which is high in the not so good omega-6 fatty acids. According to the wildely available, limitless studies conducted there are many more pro’s associated with wild caught fish than their farmed counterparts. Antibiotic consumption is one of my bigger fears. Humans are reportedly becoming more and more immune to antibiotics due to the fact that we are consuming so much of them through our food supply. It is definitely time to reevaluate and reform our eating habits. Start now. Put avocado pieces and lemon juice into a blender and pulse until well combined. Slowly add olive oil you have reached your desired consisteny of sauce, I retained a little texture in mine. Add shallots, parsley, mustard, salt and pepper and pulse to combine. Heat a skillet with the grapeseed or avocado oil until hot. Do not let the oil smoke. 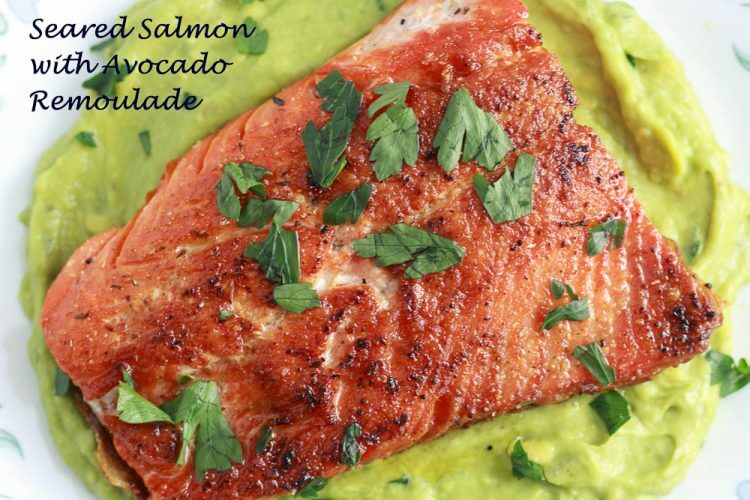 Serve salmon on top of the avocado remoulade sauce and a sprinkling of fresh parsley for garnish, optional. 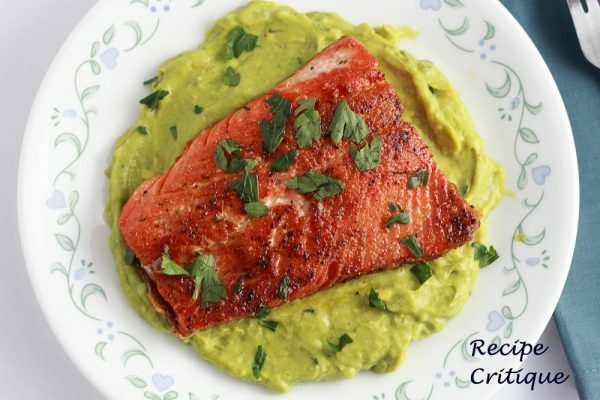 This best seared salmon recipe with avocado remoulade is a really amazing way to explore the world of wild caught Alaskan salmon. Trust me, you will not regret it.